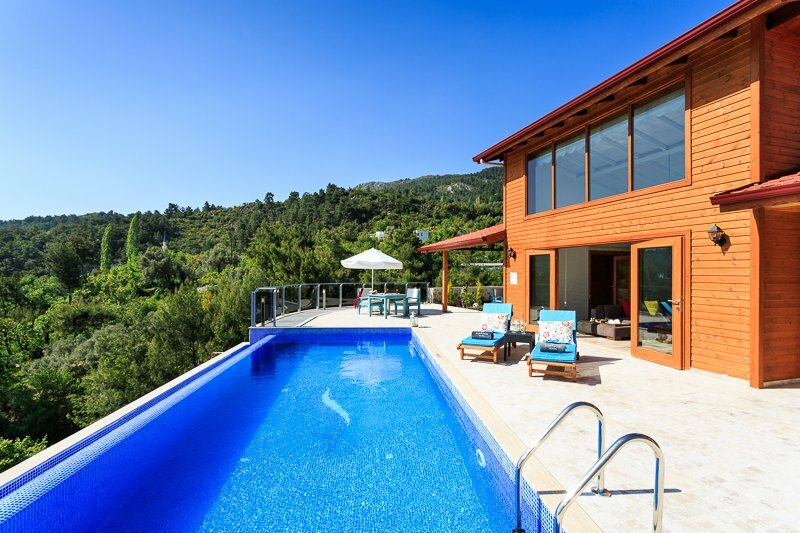 With the stunning pine tree-lined Taurus Mountains as a backdrop and the charming village of Islamlar in the distance, one-bedroomed Roka Evi is in the perfect place for a romantic couples retreat. 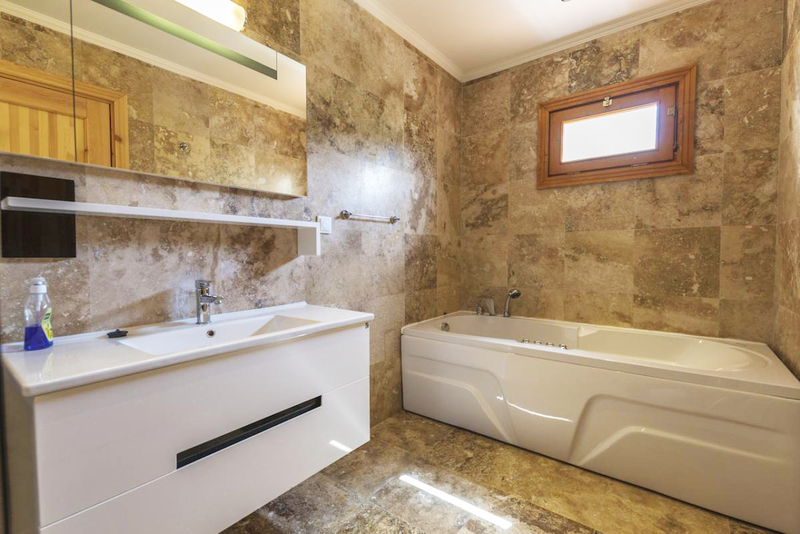 Designed with honeymooners in mind, this exquisite villa has one bedroom with an en-suite and is furnished with high-quality and luxurious furniture, that’s also super stylish and comfortable. Outside the villa is traditional in style with dark wood walls and a red terracotta-tiled roof, while inside there are high ceilings and large windows flooding the rooms with beautiful natural light, maximising the space and giving a spacious feel. There’s a large open-plan living room and kitchen with a comfortable corner sofa and mod-cons like a television and dishwasher for a homely stay. The bedroom is sleek and contemporary with whitewashed walls and natural-coloured furnishings. From the bedroom, you can step right out onto your sun lounged lined terrace where there’s a valley-edge swimming pool and al fresco dining table. Find your perfect spot in the sun or the shade, and swim right up to the water's edge to maximise your idyllic rural vistas. 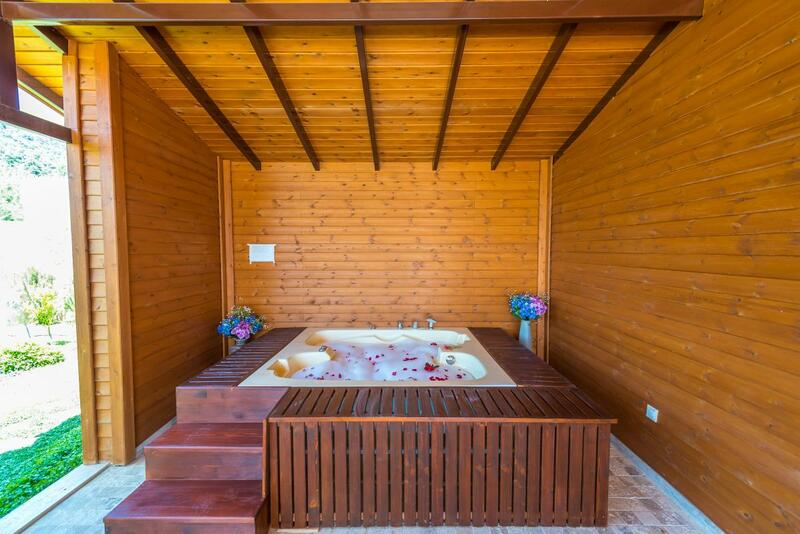 Roka Evi also benefits from an indoor and outdoor Jacuzzi for a serene spa-like feel – just slide in with your glass of wine. 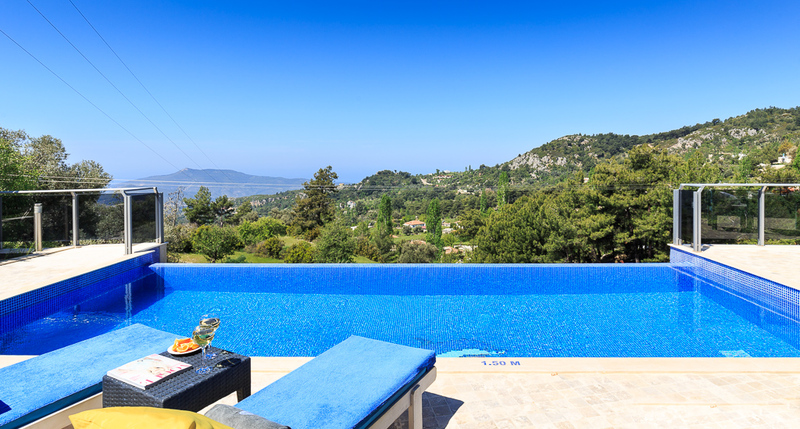 Roka Evi is in the peaceful Turkish village of Islamlar, nestled in the pine tree-lined Taurus Mountains and is not far (about a twenty-minute’ drive) from livelier Kalkan town. It’s known for its dozen-or-so trout restaurants making use of the rivers nearby to fill their tanks with fresh seafood. In Islamlar, you can get an authentic taste of Turkish rural life and visit one of the two working mills in the village square that still use water power and a millstone to turn grain into flour. This beautiful spot near the Turquoise Coast offers a beautiful combination of unspoilt mountainous terrain and sandy stretches of coastline. You can walk between the olive groves and vineyards or join the famous Lycian Way Trail – a walking route that traverses the shore. It takes you to remote places like sandy Patara Beach – the Mediterranean’s longest beach with views looking out towards the beautiful Taurus Mountains, and it’s where loggerhead turtles nest – alongside Kayaköy Ghost village with interesting abandoned Greek houses and churches and the ruins at Ucagiz. There’s a bus stop about 8km from the villa, and it will take you to towns like Kalkan and Fethiye. 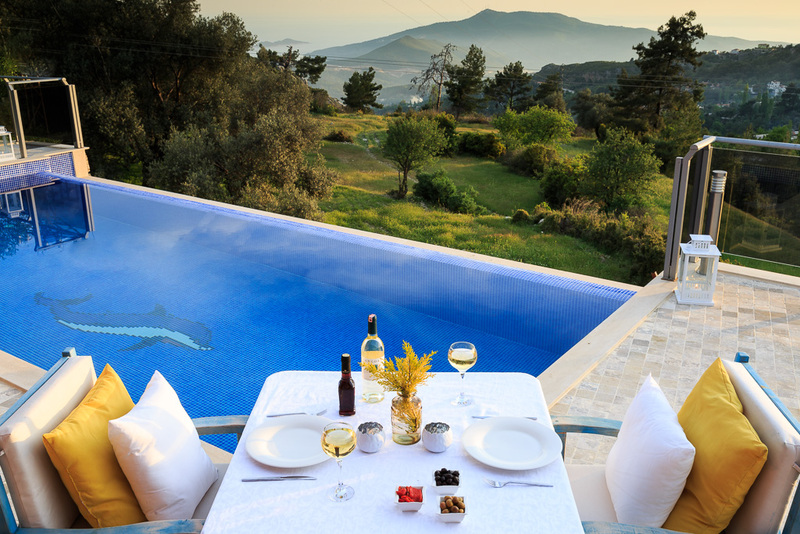 Kalkan has classic white-washed houses draped in pretty bougainvillaea flowers and a yacht-lined harbour with roof-top restaurants and bars. Near to Kalkan are the Saklikent Gorge and the Lycian sites of Xanthos and Pinara. Bezirgan, a highland village famed for its collection of ‘ambar’, small cedarwood huts used for storage, is also well worth a visit and can be reached by car.